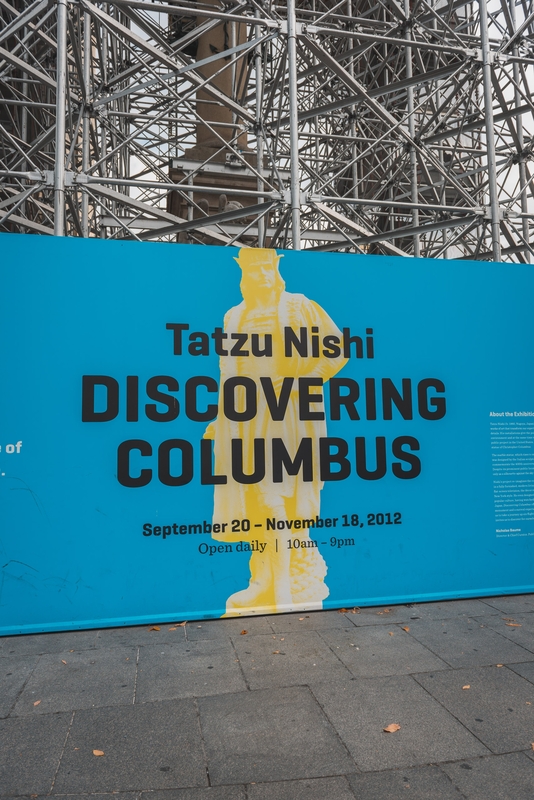 Before we were sidetracked by Hurricane Sandy and related posts, last weekend we had tickets to an incredible art installation by Japanese artist Tatzu Nishi. 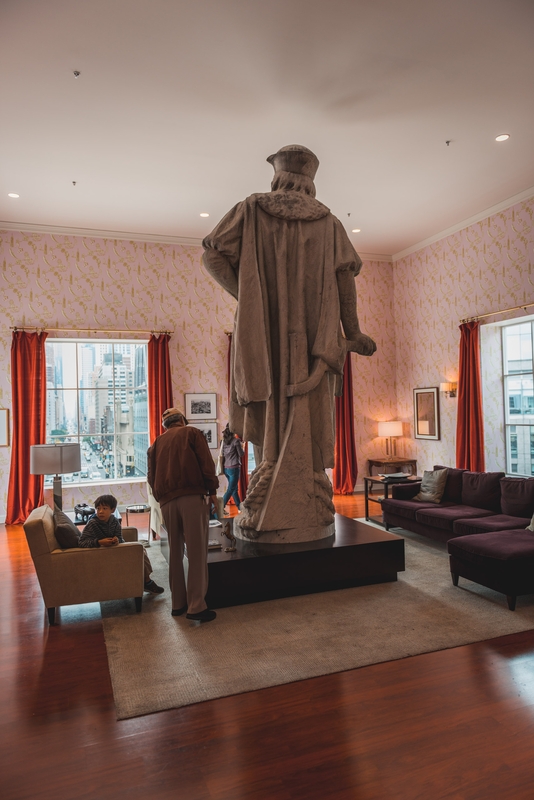 Titled, "Discovering Columbus", Nishi constructed a living room around the Christopher Columbus statue atop a monument six stories above Columbus Circle near Central Park South and Broadway. 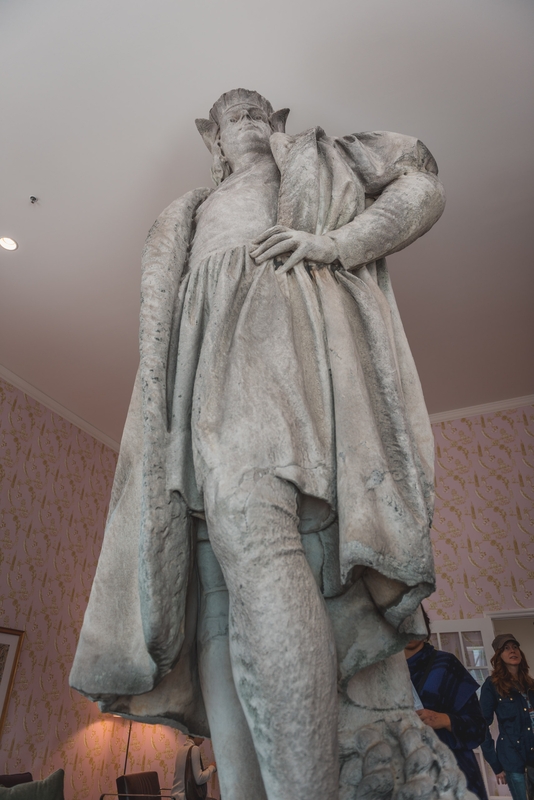 The effect of the installation is for the statue of Columbus to appear as a work of art in someone's living room. 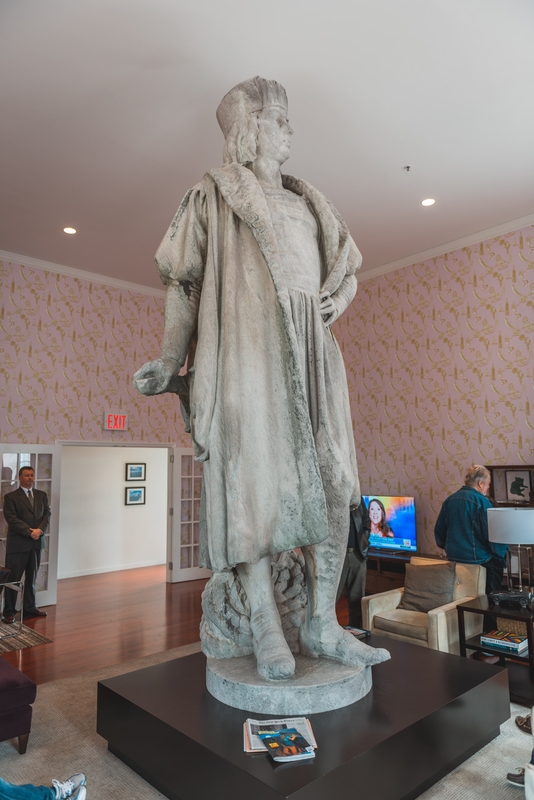 If you entered this room blindfolded and unaware, you would assume somehow had installed a terribly out-sized statue of Columbus sitting on their coffee table. 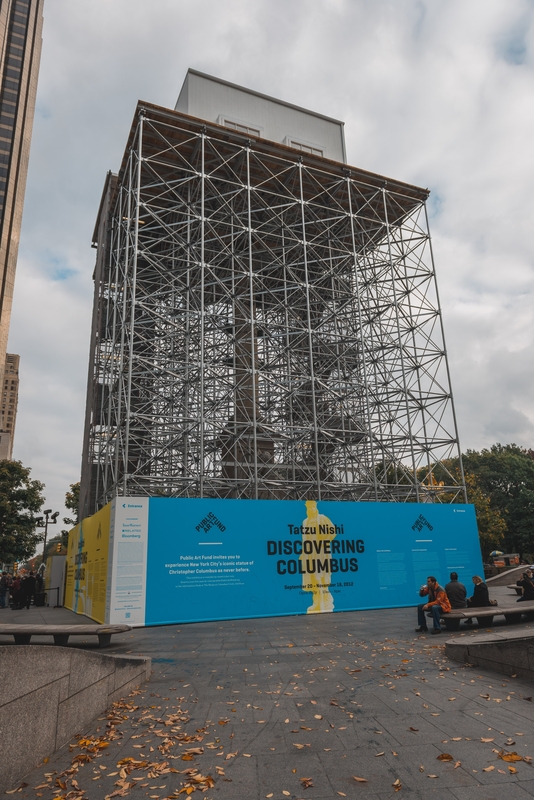 Before visting, I wasn't familiar with Nishi's work, but I recommend checking out his website and viewing some of his past installations. 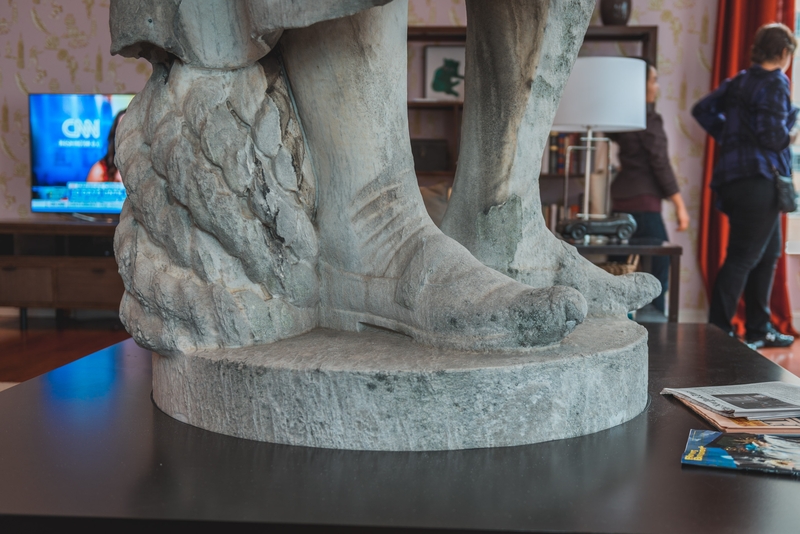 He incorporates famous landmarks and statues into scenes of ordinary, everyday life to stunning effect. What's the point? Who knows, but its very cool.